Using a CO2 extraction method, each vegan capsule is filled with 500mg of organic hemp oil with a 1:1 ratio of CBD to CBDA. 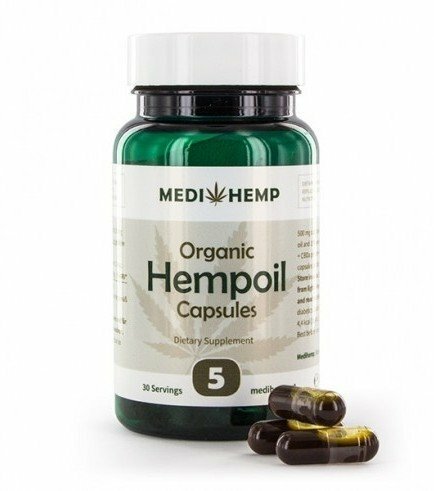 MediHemp Organic Hemp Oil Capsules (5% CBD + CBDA) are strictly a food supplement, and should not be considered as an alternative to a healthy diet, exercise, and/or recommendations from a physician. 2 capsules per day with water. Do not ingest more than the daily dosage.